The induction is held at the Cleveland Marriot Downtown at Key Center. Doors open at 5:00 and the event begins at 5:45. We are absolutely delighted when we see the attendees dressed in traditional cultural or ethnic dress! Check-in, Networking and a Cash Bar begins at 5. The Cleveland Firefighters Honor Guard will post the colors at 6PM to begin the ceremony. Click on the name for a bio and photo of the inductee. Click on a name for bios of the inductees and the special people who will be inducting them on April 16, 2019. The event always sells out so be sure to get your ticket(s) early. You can either purchase tickets via Paypal ($77 each) or you may mail your payment ($75 each – check made out to Magnum) along with all other pertinent information to 868 Montford Road, Cleveland Heights, Ohio 44121. Please note that no physical tickets or digital tickets will be issued! If you are parking either self or valet at the Marriott we strongly encourage all attendees to arrive at the event a little after 5:00; the cost of parking decreases substantially after that time. 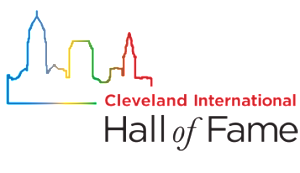 You have the opportunity to help sponsor the Cleveland International Hall of Fame at various levels and be featured in the collector’s item book that each attendee receives. We offer varying levels of support (from Table Sponsor to Platinum Sponsor) and program book ads that are sure to fit any budget. Please contact us at info@clevelandinternationalhalloffame.com or 216-406-6954 for more details on how to sponsor the magazine.